So, you want to know how to get rid of bats, huh? You came to the right place. A Bat Removal Pro Wildlife Professional humanely captured this bat with very sharp teeth. Many homeowners will turn to the DIY approach after they discover the costs associated with hiring a professional for bat removal services. However, removing bats from your home is a lot easier said than done. Even professionals that do this work for a living can have issues with bats. Something I want to state clearly right off the bat (pun intended) is you will NEVER find an easy solution to a bat problem. By that I’m referring to the many gadgets and repellents for sale online. Bat removal can only be done effectively by performing a task called “live bat exclusion”, which is the process I will be teaching on this DIY guide. As a disclaimer, reading this material does not make you qualified to attempt or handle bat removal in any way. Furthermore, if you are financially capable of hiring a bat removal company, then I advise you do it. No excuses… However, if you are one of those people dead set on trying it yourself, then knock yourself out. Just know this – it’s a lot better to pay someone who knows what they’re doing than to lose your life trying something irresponsible… I will tell you just about everything I know on the topic of bat removal, but, my skillful writing won’t improve your balance when you’re hanging 25ft in the air on a ladder. In conclusion, attempt bat removal at your own risk. If you are seeking to hire a local bat removal company to handle your bat infestation problems, look no further. Hire a local bat control professional here at Bat Removal Pro. 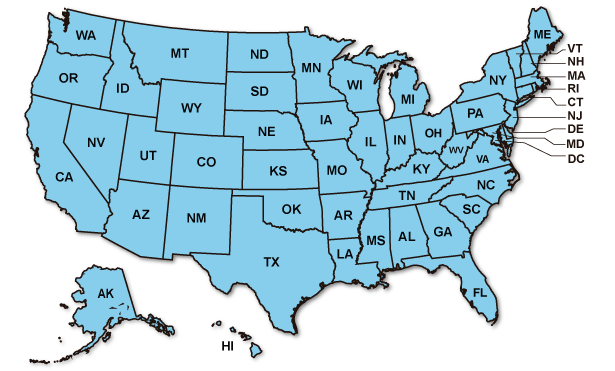 Note that bats are protected on both State and Federal levels. If you plan on going Rambo with your shotgun, you will likely be getting a knock on your door by the authorities. Be humane, it’s the law! Step 1: Find All The Entry Points Bats Are Using To Enter Your Home. Also Check Your Attic For Guano Evidence. Step 2: Seal Every Exposed Gap 1/2 Inch Or Larger Around The Roofline. DO NOT Seal The Entry Points. Step 3: Install Your “One-Way Devices” AKA Bat Cones Directly Over The Entry Points. Step 4: Start Your Night Watch 15 Min Before Dusk. Wait Patiently To See The Bats Fly Out Of Your Devices. Step 5: Place A Tarp In The Attic And Look For Any New Bat Droppings. Remove After 2 Weeks Of No Activity. Locate the main entry point where bats are going in and out of the home. The bats may use one or several gaps to slip in. The entry can be spotted by observing guano pellets below/around an entry point. The guano will often be stuck on the siding. There may also be black or dark grayish grease stains around the entry points. Stains around these spots are from the bats body oils. Locating the entry is a MUST. If you are unable to locate an entry point by looking around, try doing a “night watch” to look for where the bats are coming from. If the night watch also results in no discoveries, it’s time to hire a professional. Once it’s known where the bats are entering the structure, run off to Home Depot and get your materials. Hardware cloth (wiring) either Quarter Inch or Half by Half. You are going to use this both for creating the exclusion device and also screening open gaps that require too much sealant. Buy a bigger roll. Also, get Gorilla Tape. Next, get some Silicone/Caulking. I recommend buying caulking that is Clear for aesthetic reasons. Buy a whole 24 pack. To install, you’ll need a Caulking Gun. Using the tubes of sealant that are Clear will prevent your home from looking like a spaceship when you finish. Get the clear, your wife will thank you… If you don’t, prepare for liftoff in 3… 2… 1… Which reminds me, DO NOT USE FOAM PRODUCTS!!! A staple and screw gun are going to come in handy. If you don’t already have them, buy them. In order to cut the wire you bought, you’ll need a good pair of Metal Sheers/Snips. Let’s not forget a ladder. You’ll be doing work on the roof and safety is cautioned. If you are working on a steeply pitched roof, you should invest in a rope harness. The Goat is another unique roofing support tool. To disable bats from reentering the home after step 3 you must seal the entire house, pretty much every little nook and cranny, except for where the primary entry points are located. The last thing you want to do is seal the entry point without first completing the exclusion process. You might force the bats into your living space if you do that! Sealing is where most of the work is going to be involved. And when I say seal every nook and cranny, you really need to get in there, or else this is not going to work… Seal every gap 3/8in’ or larger. Even if you THINK you do a good job, there can still be issues with bats finding a way around your work. You must be highly detailed. Remember when I said you need to be meticulous to achieve success? It’s no joke. Gable ends, dormers, junctions, chimney flashing, soffit runs, fascia board, around windows, be sure to seal every little thing! Even if a hole appears too small for a bat to enter, seal it up anyway. You must also screen-off any gable vents. The photo below shows a useless attempt to exclude bats with foam. As you can see from the bat guano, the effort failed. The wrong company was hired! Our Bat Removal Pro Professionals would have handled this properly the first time. Guaranteed! One-way bat valves or tubes are what exclude the bats from your house. The one-way functions so bats will be able to pass through the device at dark, and when they come back during the early morning hours they cannot reenter. At least that’s the idea! One-ways can be purchased online or constructed from wire, which I explain how to concoct next. You can make a one-way bat cone by cutting a strip of wire 15in’ by 10in’ and folding the piece into a circle to produce the “cone.” Make the tip a bit wider than a golf ball, and the base should be twice as wide. Once your bat funnel is formed, cut 2 long strips of Gorilla Tape and wrap 1 around the tip & the other you will place 2 inches away from the base, toward the center. Next, make four perpendicular cuts into the wire at the base. The idea here is to make 4 flaps of wire on the end of your bat cone. The flaps are utilized for securing staples, screws, and other fasteners while you are installing the device over an entry point. Carefully install the base-end of the device over the spot where bats are coming in and out. Remember the “Flaps” I was talking about? Bend them outward from the device and this makes for easy installment against wooded siding with staples. Against material like shingles & a plastic soffit, you will need to use screws to secure the device. The application of the one-way device will vary based on working conditions. You may need to install several one-way funnels on a home depending on the number of potential areas bats may be entering. Generally speaking there will only be a single entry point, but I advise to the side of caution. Place a valve over any hole that looks suspicious. Another successful Bat Removal Pro Removal removal. Our BRP companies safely return these captures to the wild after they close all bat entrances to the home. 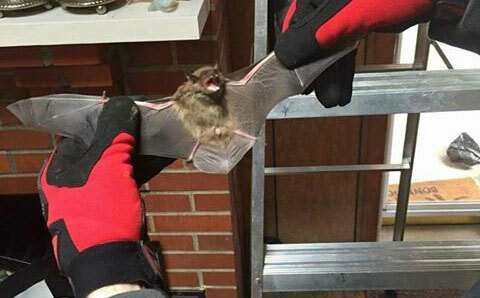 This bat will never get into this home again! Make sure there are no holes or gaps around the base of your one-way funnel. This is crucial because the bats will slide around the device if there are any gaps around it. I will often put some sealant around the base of my funnel after it’s installed with staples/screws. This ensures there are no gaps around it for bats to slip through. If you try this, please be careful not to get any sealant inside of the funnel. The bats will get stuck and die. The device can also become congested with bats, causing a proverbial roadblock or clogged drain. When there is no doubt the bats are gone, you can remove the funnel and seal the entry with wire and/or sealant. Leave the funnel installed over the entry point for at least 2 weeks. This is to ensure all of the bats make it out successfully and unharmed. Now, Let’s See How You Did! You’re going to realize that you’ve come a long way and have done A LOT of work to get to this point. If you haven’t busted your balls doing all the bat exclusion work, then you didn’t do it right. NOW, the moment of truth. At dusk, watch your one-ways’ and watch the bats come fluttering out of your device. Email me some pics if you get any good ones! I can also offer some personal advice, to an extent! Confirm The Bats Are Gone: Once you finish the exclusion phase spread a tarp in the attic. Monitor it every week for any new bat droppings on the tarp. If droppings continue, you still have bats. If the droppings stop, then you are bat free! For now. 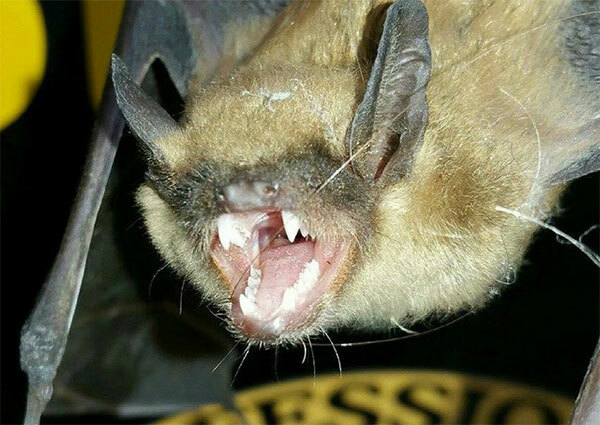 If the bat colony manages to return, even after all the hard work you did, then it’s time to seriously consider hiring a professional from Bat Removal Pro. Bats in the attic can turn into a serious situation as the problem lingers on. Any prolonged hesitation and you’ll likely find yourself paying out thousands of dollars to have the bat guano removed and your attic’s insulation sucked out, followed by having your attic restored back to sanitary conditions. However, you may need to have this done regardless. Here’s more info about attic restoration. But, before you do anything else – seek the advice of a professional.